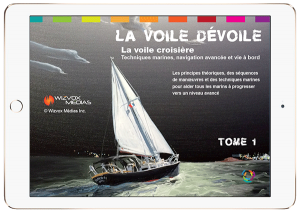 This manual is designed for the purpose of safety and training for all users of the St. Lawrence River. This fluvial artery, the longest inland waterway in the world, is fascinating in more than one point but can reserve several surprises to the navigator who wants to discover it. 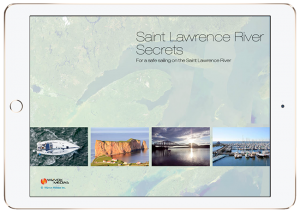 You will find a directory of 142 places that can be dangerous when winds interfere with coastal topography of the St. Lawrence River. This inventory was conducted using information collected from river users such as fishermen, mariners and boaters and also with the expertise of Marine scientists and representatives of the Canadian Coast Guard. This information is presented on simplified topographic maps over which are superimposed data on winds, waves, currents and topography. Access to external links without leaving the app.